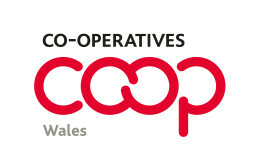 Wales needs to embrace the co-operative and mutual business model to achieve a real improvement in social and economic wellbeing, according to a report published today on the potential of co-operatives and mutuals to create jobs and wealth. The report, prepared by the Welsh Co-operative and Mutuals Commission under the chair of Professor Andrew Davies, was commissioned by Minister for Economy Edwina Hart. It sets out 25 recommendations on creating a culture and environment in which co-operative ways of doing business are the norm, not the exception. Mrs Hart said: “I am very grateful to Professor Andrew Davies and the Commission for their work in producing this comprehensive report. Professor Davies, Chair of the Welsh Co-operative and Mutuals Commission, said: “The Commission believes strongly that conventional approaches to economic development are not enough alone to deliver the long-term improvements needed for the Welsh economy. Co-operatives and mutuals offer significant economic, social and environmental benefits compared with ordinary business and have the potential to transform our economic fortunes, as well as improve our public services. The report’s recommendations cover how to integrate co-operatives and mutual into education; government business advice and support; investment finance; planning; and public procurement. It also makes a number of recommendations on how the Welsh Government can encourage innovation amongst co-operative enterprises and how the co-operative and mutual movement can increase its voice, influence and capacity. Accommodation Furniture Solutions has doubled its workforce since company was formed in October last year and now employs 14 former Remploy staff. There will be a period of consultation on the recommendations of the report.